Here we highlight the United States region to show our collection success rates and volume of cases within the 50 states. The following data has been pulled from 2014 - 2016. This map shows a detailed account of our collections success rates within the 50 different states, demonstrating the effectiveness of our services and how successful we are in collecting on accounts. 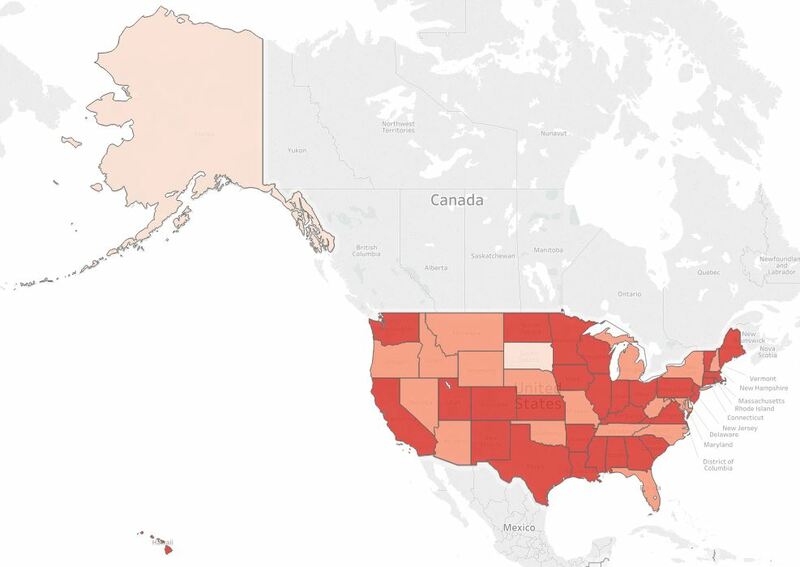 Check out our interactive Success Rates Map. This map illustrates a detailed view of our volume of cases within the 50 different states, and the amount of cases we have received, which reflects the quantity of accounts that customers have placed with us. 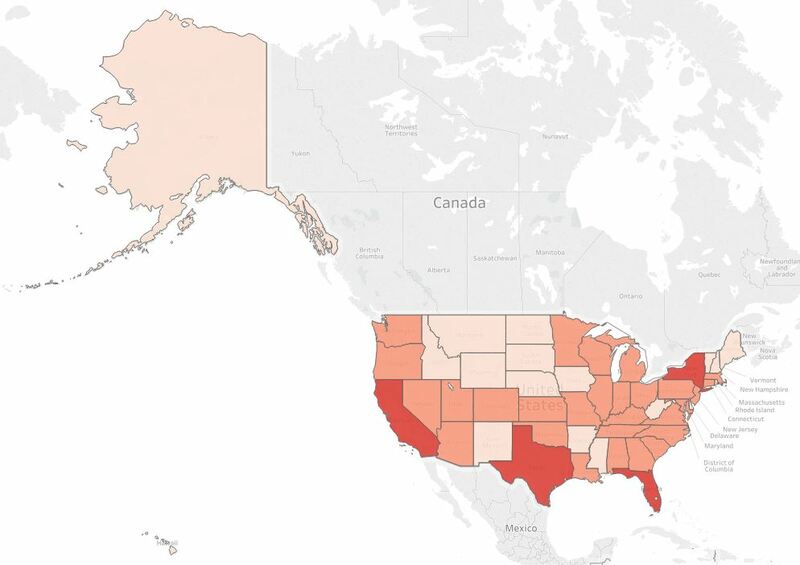 Check out our interactive Volume of Cases Map.